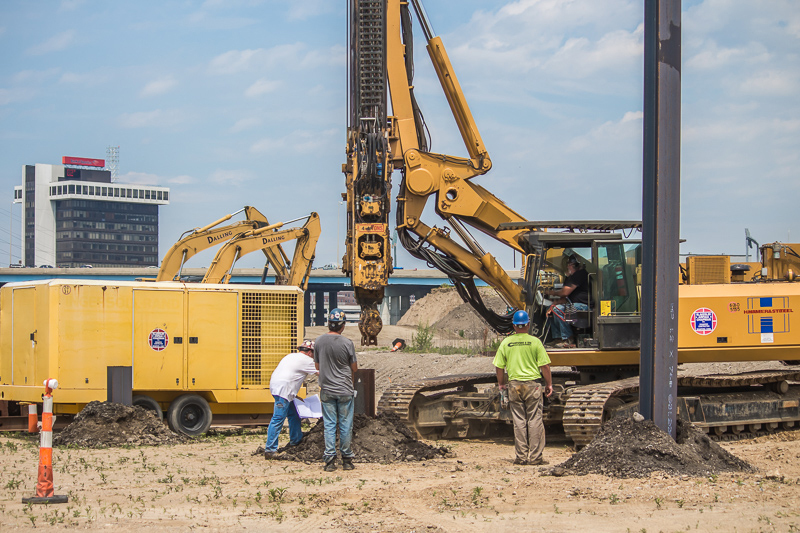 (Bridgeport, CT)—Vertical Construction has begun on the waterfront at Steelpointe Harbor in Bridgeport. Following the completion of construction and opening of Bass Pro Shops, Starbucks, Chipotle, and T-Mobile in November of 2015, BLD has spent the past year installing a new 2,600 linear foot bulkhead and raising the elevation of the peninsula to 14’ above mean high tide in preparation of vertical construction. 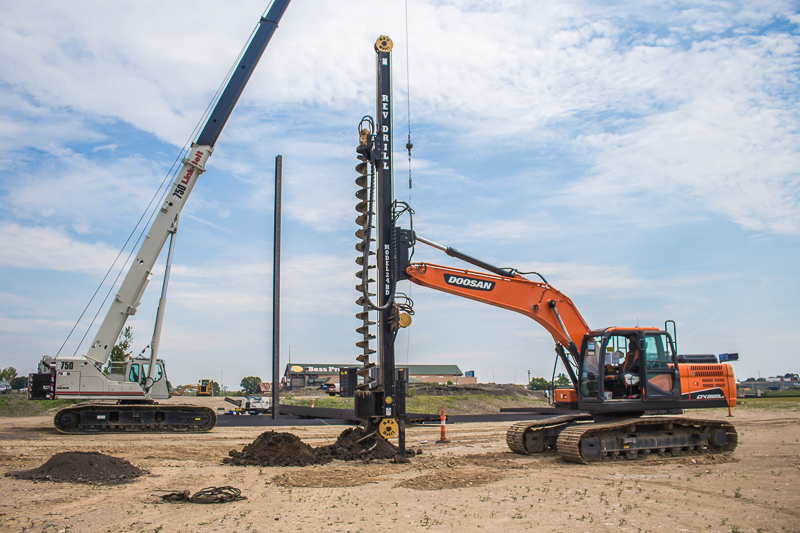 On June 28, the vertical construction began with the driving of the first of the 157 H-Piles being driven as much as 100 feet deep to support the Dockmaster Building. Delivery of the 30 truckloads containing 580 tons of steel began arriving on site this week, and it will take about a month to drive the 2.7 miles of steel H-piles into the recently graded landscape. The 35,000 sq. ft. Dockmaster Building itself will have a restaurant with outdoor seating on the first floor, offices on the second floor, and residential units on the third floor. This next phase of construction is scheduled to be completed in the summer of 2018 and will also include a waterfront park and a new marina. The DockMaster building, along with our pedestrian friendly streets and walkways along the water will serve as the centerpiece of a series of buildings planned for the peninsula that will include residential, retail and entertainment. Steelpointe Harbor will serve as an urban mixed use environment “designed to embody the most desirable characteristics of a harbor-side neighborhood,” according to developer Robert Christoph. 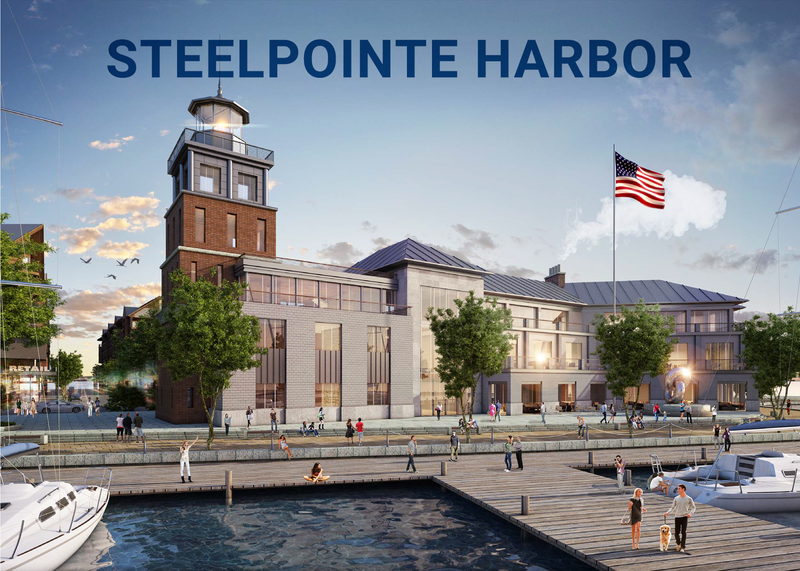 Steelpointe Harbor is a part of the rebirth of Bridgeport Harbor and the creation of a new Long Island Sound destination. 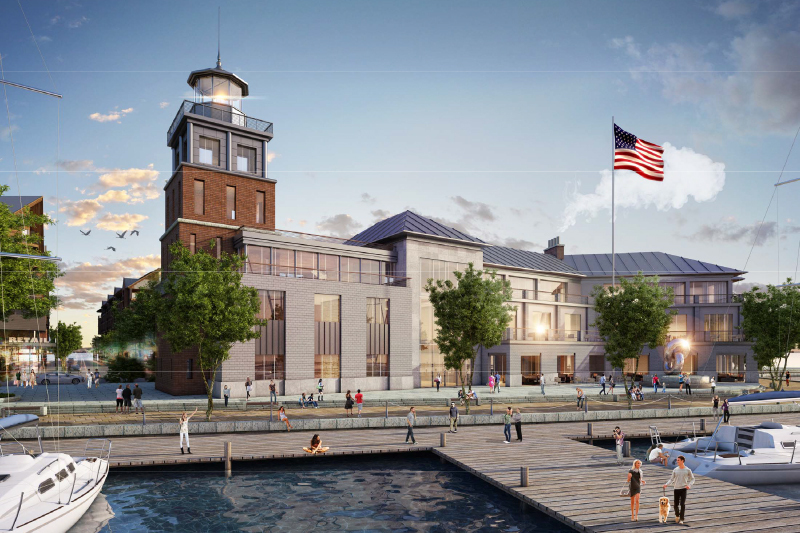 With its transportation infrastructure, Bridgeport is ideally positioned – between New York and Boston, with a year round ferry service to Port Jefferson Long Island. The redevelopment of this 50 acre site will support the redeveloping Downtown Central Business District next to it with an urban/waterfront complex, a destination, and a new Bridgeport neighborhood.